Ott Jones’s hands move with the cadence of memory as he renders the life he’s studied into clay, then bronze. Each addition of malleable clay, each indentation, each thumbprint pressed represents a moment. His work revels in imperfection to convey movement and deepen our understanding of nature. As he works on Out of the Shadows, he elegantly portrays the swoop of grass moving in a quick stream. Jones orchestrates a rhythm in his work, so the eye finds a place to land, linger and move on. 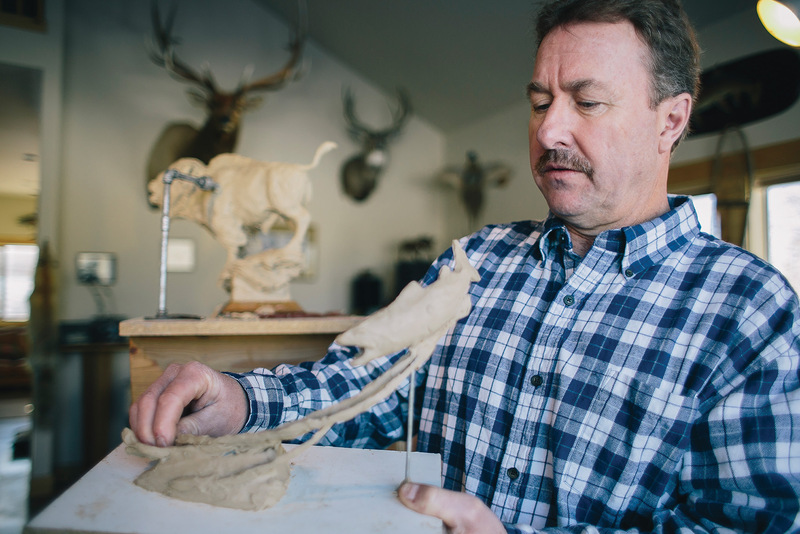 Jones brings his outdoor life into his Bozeman, Montana, studio. There he shapes the animals he’s known in the wild. Next to the working sculpture sits a very small, rough version. This maquette helps him figure out how to approach a subject, and stays nearby throughout his process. Behind him, an electric turkey roaster keeps the clay soft. He reaches for a small wad and presses it onto the work, leaving a smooth line behind. The spotlights above him illuminate his workspace, so every tiny mark is clear. Sculpture, unlike painting, has to work in three dimensions. Jones knows this, and uses every side as another chapter in his narrative. And that’s what draws us in. We are engaged in the story at the climax of the piece. Will the minnows make it? Will the big brown trout eat today? Included in the story arc is the arc of the piece. It curves and plunges; our minds supply the running stream, the sweep of the current bending aquatic vegetation. In this way, Jones creates a dialogue within the piece. It is this type of perspective that keeps Ron Malone a loyal fan. 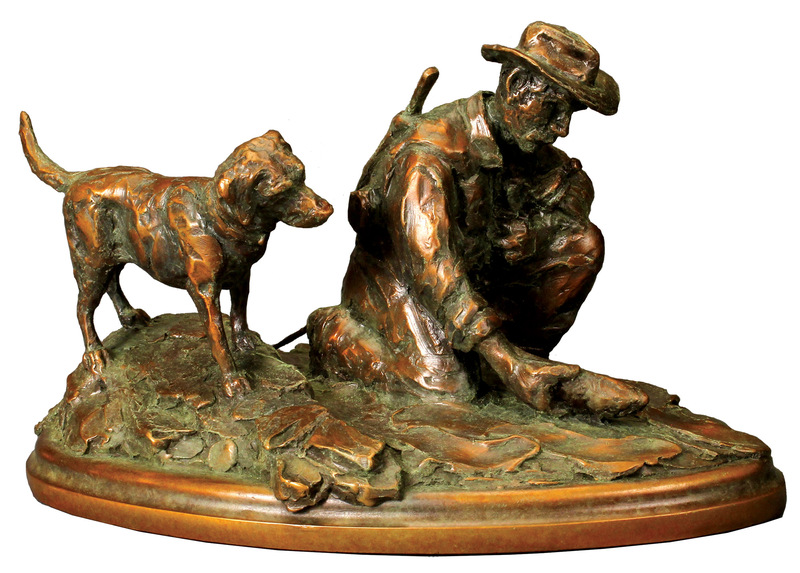 Malone owns several pieces and is a longtime follower of Jones’s work. It’s not that Jones doesn’t know his anatomy. That’s one of the first things he studies before embarking on a new piece. 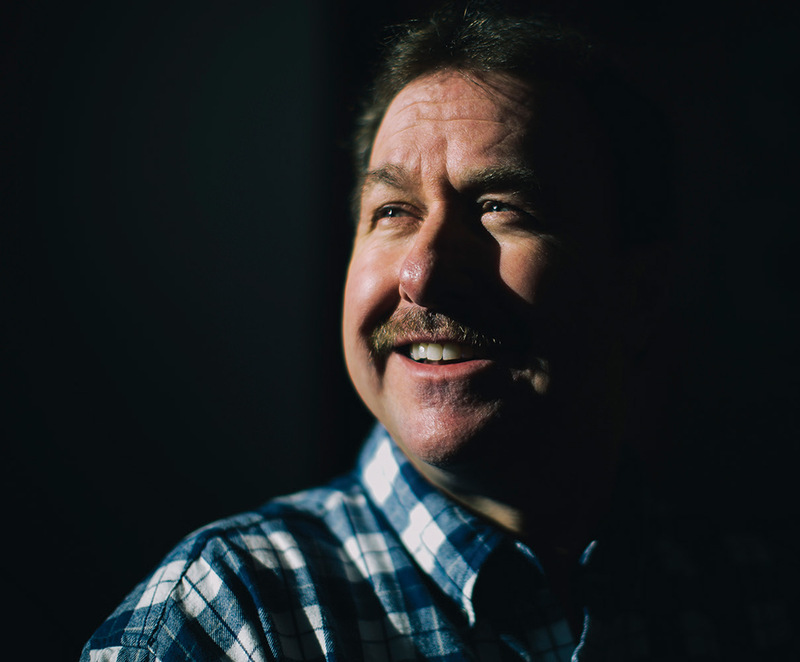 In fact, Jones’s foundational outdoor experiences began early in his life when, as a young man, he got a job on the Alaskan Peninsula as a fishing guide for three consecutive summers. There he witnessed the wild salmon runs, bears, wolves and all the wildlife that goes with that kind of lifestyle. Those are the kinds of experiences that shaped his eye and landed his work in exhibitions at venues ranging from the Charles M. Russell Museum in Great Falls, Mont., to the Spartanburg Museum of Art in South Carolina. He has contributed to shows including the Allied Artists of America in New York City and the Plein Air Fest at the Jackson, Wyo., National Wildlife Museum. In between, he continues to explore his subjects in the wild. Malone appreciates that Jones’s adventures show up in his work. He also loves the heft and weight of Jones’s bronzes and the way they convey emotion as well as what was happening in the scene. Malone sees a forcefulness and honesty in Jones’s work. One technique Jones employs is to not fill in the details of his pieces with every scale on the fish or every hair on a bison. He uses texture to infer the sleekness of speed or the rough sturdiness of a huge animal. He also does commissions and recently made a piece for Queen Elizabeth of England called Birth of the Labrador. Aside from royal commissions, Jones makes bas-relief wood boxes for Gray’s Sporting Journal’s Gray’s Best Awards. But for Farah Neishabouri, co-owner of the Rocky Mountain Rug Gallery and owner of Farah’s Home Furnishing, who decided to take Jones’s work on in her gallery, the most important factor is the connection she feels with the artist. Of course the work has to be outstanding, but she needs something a bit more. 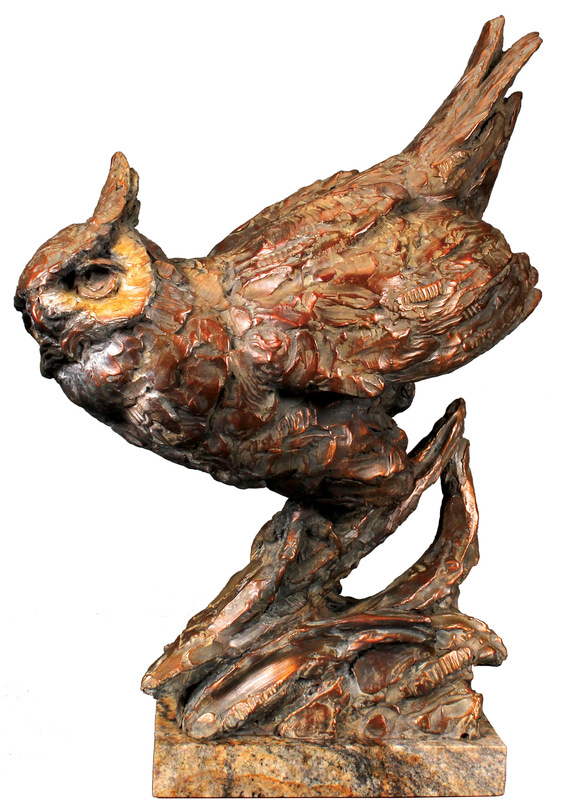 She’s been representing his sculptures for the last four years and is happy with the way he works with clients. Those stories are present in all of his work. And, after 28 years of being a full time sculptor, Jones feels he is so much more confident with the way his pieces are formed. 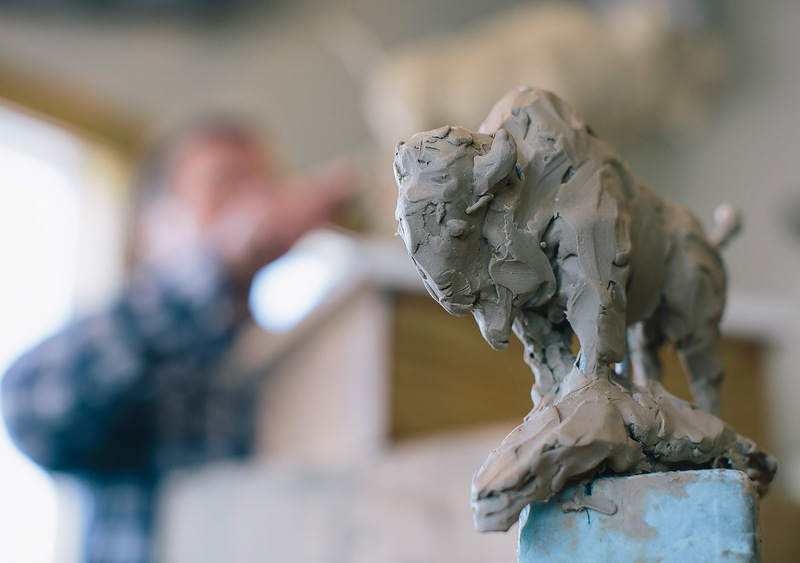 Bozeman sculptor Ott Jones follows a “maquette” as he works in his studio on a clay bison. 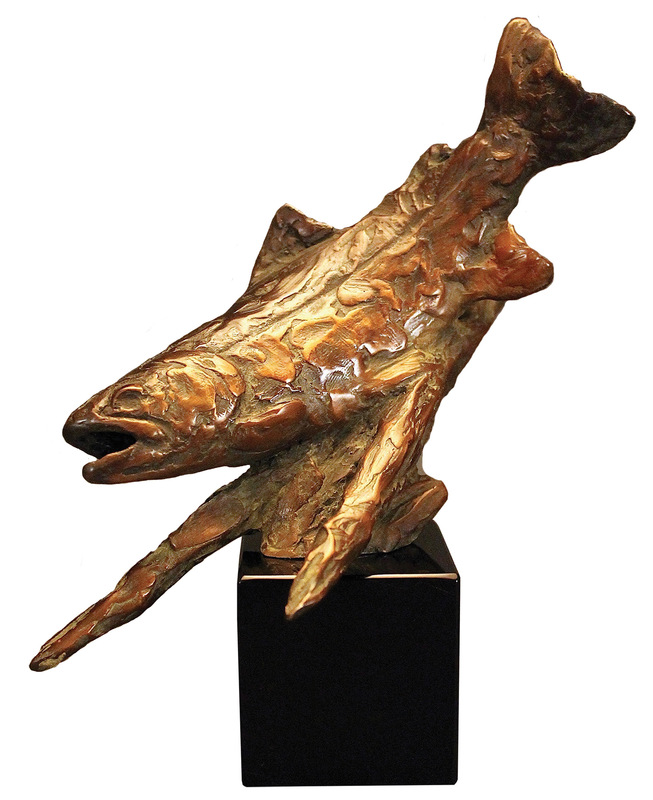 Working professionally for the past 30 years, his sculptures have been acquired by the C.M. 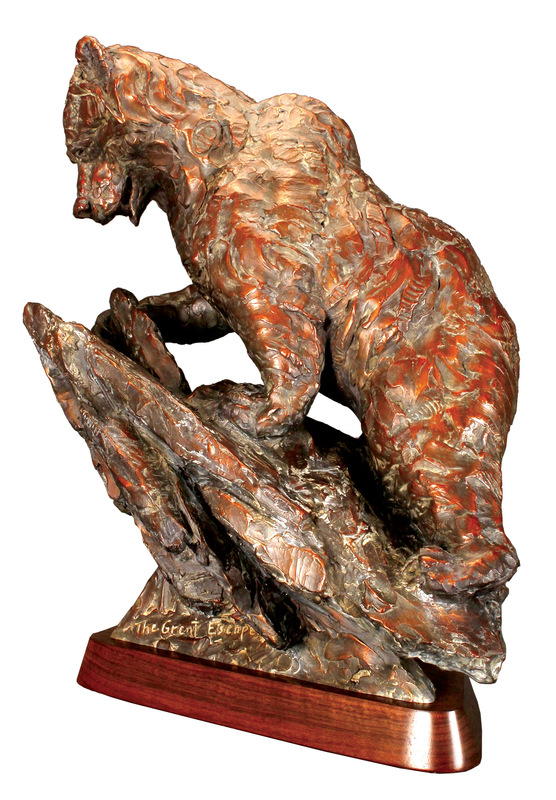 Russell Museum and the National Museum of Wildlife Art, and he has several monumental sculptures around the country. 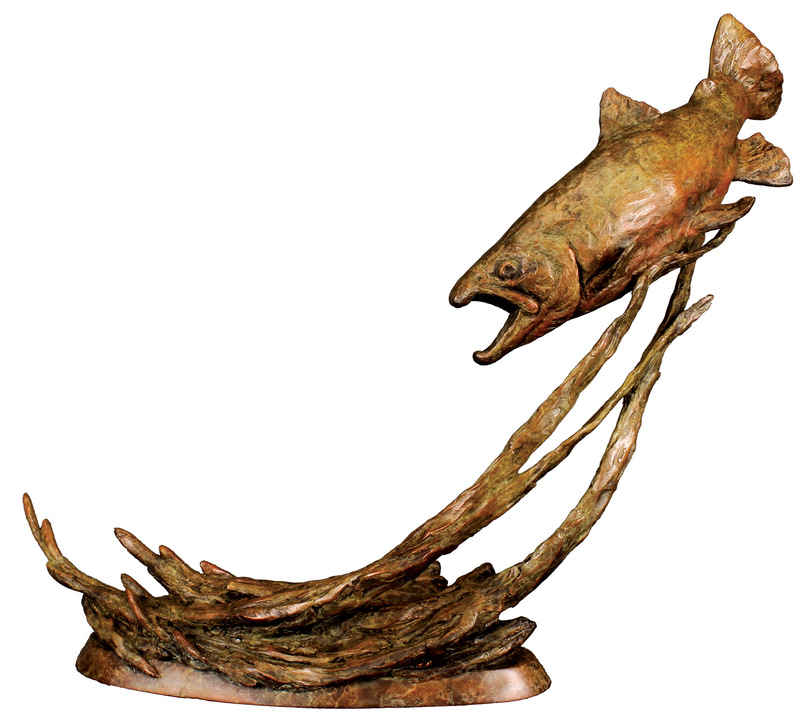 Bozeman sculptor Ott Jones works in his studio on a maquette of a brown trout. “I’m trying to tell a story,” the artist says.